This mix of our Hala-Pain-Yo (jalapeno) Karmel, and our Smoldering Cheddar, is one of our top sellers. The flavors mix perfectly and will leave you with a nice sting in the back of your throat. Eat the whole bag, and it will be a nice sting all the way down! Do you like things nice and spicy? This is the flavor for you. Phoenix Heat is a combination of our Hala-Pain-Yo (jalapeno) Karmel Korn, which has a subtle sweet/hot flavor in our signature karmel. 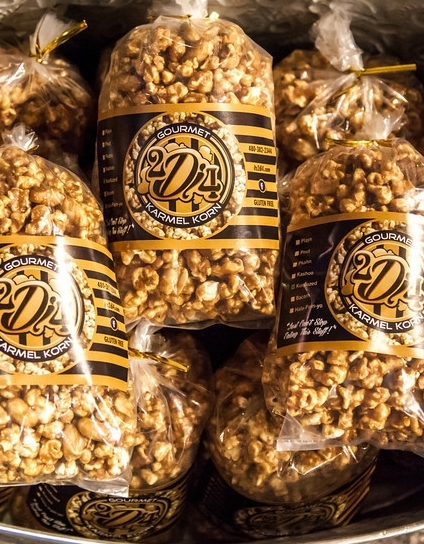 Mix that with our Smoldering Cheddar Popcorn. The combination is perfect! Give it a try!